“What a fine place this world would be if the humanists tried to be human with others. What a fine place this world would be if theists tried to be their brother’s/sister’s keeper as God wants them to be. What a fine place this world would be if fundamentalists tried to exemplify the Sermon on the Mount. St. Francis and the Animal Blessing happens this Sunday. What a joyous day it will be! Bring all of your animal friends to worship. You are responsible for making sure they are as comfortable as they need to be. How magnificent to celebrate that all of creation, the animals and all sentient beings belong to the Beauty of God! The 13th Season of our Jazz Church West opens this Sunday at 5:00 pm with drummer Sylvia Cuenca’s Trio. Get your heart stirring and dancing! Thanks to Ed Klitsch for continuing to serve as our Jazz Catalyst (JazzCat)! Peace Singers: A dozen members of Peace are beginning to sing together, strengthen their voices, nourish community and soon sing for our worship! The group is ‘finding its stride’ with proposed rehearsals with Elizabeth at her home on either Thursday or Friday mornings. Details to come as the Practice Rhythm emerges. 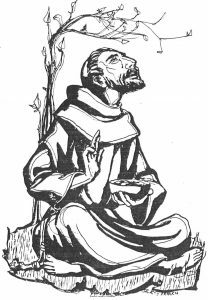 Embodied Earth Prayer: Aloha Qiqong and the Franciscan Legacy: Kaleo, Elise and I will lead this this Workshop at San Damiano Retreat Center this Saturday from 9:30 – 4 pm. 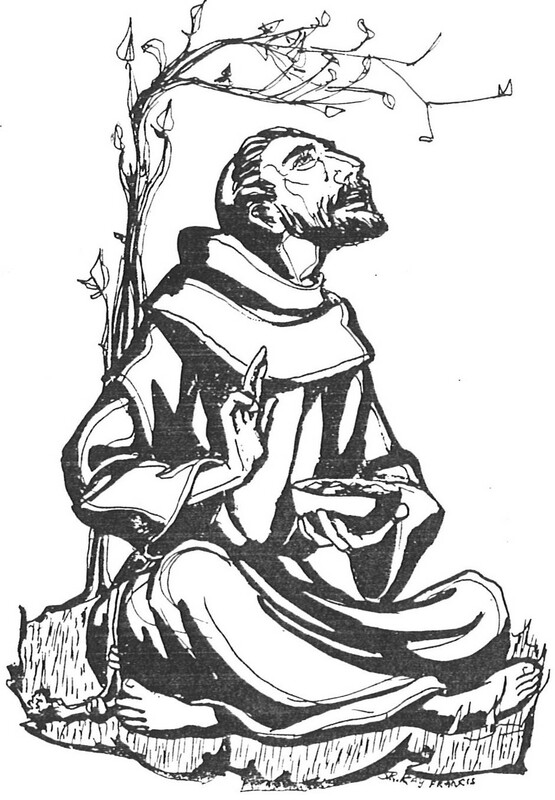 Deepen your connections with St. Francis and eco-spirituality through embodied prayer. Peace Youth Group – October 8 at 12:30 pm: Kids and parents will be meet at Peace that Sunday to envision and organize the year’s plans. We are delighted that Seminarian Louis Moehlman and Chaplain Intern Crystal Larsen will be leading the Youth Group this year!! From 2 – 4 pm that same day our Youth will join the Interfaith Youth Gathering at Beth Chaim who will be celebrating Sukkot – the Feast of Booths in the harvest season. The High Holy Days conclude with Yom Kippur this Shabbat weekend. Please keep our friends at Beth Chaim in your prayers. First Friday Films – Oct. 6, 6:30 pm: Join us for the winner of our “scary movie” contest, Beetlejuice, Tim Burton’s uproarious fantasy/comedy as you’ve never seen it before – outside on the big screen! When a recently-deceased ghost couple (Alec Baldwin + Geena Davis) find their now-vacant home invaded by an obnoxious family, they engage a sleazy ghost (Michael Keaton) who gets rid of humans to help them. Run time 92 min. ; rated PG. Please bring munchies to share. and night after night makes known the message. Happy news for our Youth Group: Crystal Larsen and Seminarian Louis Moehlman will be working with our Youth Group this year! They are excited and way cool things will be happening. On October 8 kids, parents and leaders will gather at 12:30 at Peace for conversation and then at Beth Chaim for an Interfaith Youth Group gathering from 2 – 4 pm. Peace Singers: 11 Singers desire to create beautiful choral music for Peace and Elizabeth Hunter-Ashley is willing to lead and nourish singers voices! The first gathering will be on Friday, September 29 from 10:45 – 12:30 pm at Elizabeth’s home. 45 minutes for vocalists and 60 minutes for developing repertoire. Coffee and such provided. Additional singers are welcomed. It’s understood that not everyone can attend every week but we can now have ongoing choral contributions. What a joyful and creative opportunity this will be for all of us! October 1 – St. Francis Animal Blessing at Peace Worship! Bring all your animals at 10 am to this joyful worship occasion. Feel free to invite other human and animal friends as well. Jazz Church West: Our 13th Season open on October 1 at 5:00 pm with drummer Sylvia Cuenca who hails from New York City! Will be great for your soul! The Home Entertainment System is my shepherd. My spiritual growth shall want. It makes me sit down and do nothing for nobody’s sake. It requireth my spare time. It keepeth me from my responsibilities because it presenteth so many good shows that I must see. It restoreth my knowledge of the things of the world and keepeth me from God’s word and wisdom. It leadeth me in the path of nonsense (except for the science channel) by failing to attend to things that matter. Yea, though I live to be a hundred, I shall keep on viewing my TV (and hand held devices) as long as they work, for they babysit me and are my closest companions. It’s sounds and images comfort me. It presenteth entertainment before me and keepeth me from doing important things with my family. It fills my head with ideas which distract me from the love of God. Surely, no good thing will come of my life, because my TV offereth me no good time to enjoy the presence of God; thus I will dwell in the land of make believe forever. October – Reformation Themes and Highlights during the whole month! Also – Thyme for Tea on Oct. 29 — 3 seats remain. Homecoming: It was the Twins Julia and Violet who brought us all home last Sunday. Jesus put a child in the disciples midst when they inquired “who was the greatest“? The twins beaming, quiet presence revealed the answer to us! Singers Welcomed! We now have 11 Singers willing to work with Gary and Elizabeth in creating a variety of music settings for worship at Peace. Quite exciting! More men are invited too. Details will emerge as our organizing progresses. First Friday Films – what a night! As attendees shared last Sunday – “The BBQ , movie, s’mores and marvelous company were so wonderful! Great film – and half a dozen new folks attended. Thanks to Austin and Gary for the BBQ and Big Screen and to Elana for coordinating the evening and film series! Come the end of October you can anticipate nothing but Scary Movies for Halloween!! Council Retreat: The Council retreated this past Sunday for several hours. It’s a blessing to give ourselves the time to reconnect and refresh. The flow of a whole year’s events began to come together by the conclusion of our session. These details will be published soon. St. Francis Animal Blessing – October 1: This year we invite all your furry, feathered, scaly friends to join us for worship at 10 am. Invite your humanoid friends who love the winged and four-legged to join you as well. We ask each family to be responsible for all the creatures they bring. Anticipate a marvelous worship celebration! Hope you enjoyed the Luther Special last Tuesday evening. He was a man with great gifts and great flaws living in a time of great challenges. Thankfully his wife Katie was a woman of great strength and faith too. International Day of Peace: Consider practicing peace for 24 hours on September 21 – at the office or supermarket, while sitting in traffic – give yourself a day to gently examine the deeper levels of peace-making. Practicing awareness of our thoughts and emotions is invaluable: noting our irritations and disappointments….then just let them go (fighting with them gets us nowhere); be mindful of if or how harshly you judge yourself and others – allow kindness to replace your condemning attitude. Remember: “those who hurt or frustrate me must already be hurting themselves” throughout the day. And you may decide to read and reflect upon the United Nation’s Declaration of Human Rights as a thought-provoker for that day. Jazz Church West – 13th Season Opens October 1 with Sylvia Cuenca, San Jose native now part of the busy New York City jazz scene! 500th Reformation Anniversary – Sunday, October 29: 2:15 Bach’s Cantata #80/ Ein Feste Burg performed with Orchestra. 3:00 pm a Festive Eucharist Liturgy with fiesta reception following. Carpooling will be arranged. *** Homecoming Sunday is this Sunday! Time to gather from the Four Winds of Serbia and Fiji and South Africa and Canada and to rediscover our rhythm in the praise of God, gratitude for life and the nurturing of Christ’s New Creation. Come home – to yourself; come home – to the joy; come home to your friends! *** First (second) Friday Films – Sept. 8! Join us for a Peace BBQ at 6:30 pm in the Courtyard when we will grill a variety of veggies and proteins. Please bring side dishes to share. For dessert we’ll enjoy S’mores toasted over a copper fire pit. Dinner delights followed by a screening of this Academy Award winning Harry Potter prequel on the big screen at 7:27 pm when the sun goes down. J.K. Rowling wrote the screenplay. 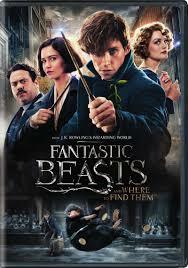 You will meet magizoologist Newt Scamander, who studies, watches over and nurtures magical creatures. He arrives in New York City 70 years before Harry Potter reads the book Scamander will author, Fantastic Beasts & Where to Find Them. Run time 113 min. ; rated PG – 13. *** Singers at Peace: All are invited to meet with Gary at the Piano after worship this Sunday to decide how best we can rehearse and offer our musical gifts to worship and for special events at Peace. Duets, quartets, chant, contemporary music are all options we will explore. 8 people are already involved. If interested, please join in. *** The Council will have our Fall Retreat this Sunday after the Hospitality Hour at Peace. *** Last Sunday $450 was given by the congregation for Harvey Relief Efforts. Thank you for your compassion. *** Forum – Creating Reformation Hymns for our Times: On Sunday, September 17 we will have a chance to reflect on themes for music that speak to our times. The Affirmation of the Contemporary was one of the major contributions of the Reformation 500 years ago. Lutherans were known as the Singing Church and all music lovers know we have to sing our way into the resurrection! Thanks to Pr. Lucy and Boris for leading this creative endeavor. *** Celebration of the 500th Anniversary of the Reformation: The Reformation led to many things that we hold dear and often take for granted today: worshiping in our own languages, public education, free access to bibles and other religious literature, democracy, an insistence on personal and human rights, an emphasis on the economic well being of the community, and cultural affirmation through all the arts….with a special gratitude for the works of JS Bach! *** October 29 at 2:15 pm at Grace Cathedral The Pacific Choir will perform Bach’s Cantata #80 Ein Feste Burg with full orchestra. A Eucharist Liturgy will follow at 3:00p. Reserved parking is available at the Masonic Garage. If you wish to participate and carpool please sign up on Sundays at Peace. *** Please keep in your prayers: Those deluged by the storm and flood waters of Harvey; the people of Bangladesh where 1/3 of the country is now submerged; Jerry, Marshall, Gun, those mourning the loss of loved ones. *** The Veil Tapestry has been accepted into the Interfaith Art Exhibition “Collaboration and Connection”. Bill Carmel had a conversation with Arash the curator almost two years ago which inspired the title of this Exhibit. The submission form was visited by over 900 artists from the US and other countries including Finland, Qatar, France, Canada, UK, Pakistan, Ireland, and Germany. There were 40 submissions which included 80 artists and 3 big projects with students ranging from 60 – 90 students. The Exhibit will open later in the Fall. Details to come! *** The Youth Group and parents met this past Sunday at the Mitchell’s. A relaxing and inspiring evening of catching up and designing plans for this next year. Lots of good things cooking both at that BBQ and for the near future. *** Summer Journeys took folks in many directions. Here are just a few: Martha was off to Germany; Renee, Todd and family took an RV sabbatical trip around America for 7 weeks; Mark L. went swimming in Serbia with the American Water Polo team…his parents followed behind; the Schoenings enjoyed Croatia; Mark M attended the baptism of his grandson in the same church where George Washington was a member; Ron and Linda enjoyed Wisconsin; Gun went to Sweden; Teresa and Jeff enjoyed Vermont; Gracie M. did some youth project work in Fiji; and somebody went to Viet Nam – who was that? We got to see Len and Bonnie Nelson who send greetings from Salem – the Land of Totality. *** Homecoming Sunday – welcome back on September 10. Time to reconnect and get back in the groove of life at Peace. Thrivent will match up to $3 million in personal donations made online through Thrivent.com to specific disaster relief organizations responding to Hurricane Harvey. The dollar-for-dollar match is open to Thrivent members and will lead to a total combined impact of up to $6 million. For more details and to see the list of organizations included in the match, visit the Disaster Response page on Thrivent.com. *** Simultaneously in Bangaladesh massive storms have deluged the country so that 1/3 of Bangaladesh is now submerged. 100 times the number of people who died in Houston have died there and of course they have no resources. Portions of India and Nepal have been equally devastated. I am awaiting word from Lutheran World Relief how we might best help in these places too. *** Keep in your prayers: Ro recovering from knee surgery, Brian and David McGee, Linda Britt, Brian T., Sue Shuffield, Alice O’Sullivan and those who are threatened by wild fires, those mourning the death of loved ones,the victims of Harvey. *** Exciting News: The Veil Tapestry has been accepted into the Interfaith Art Exhibition “Collaboration and Connection”. Bill Carmel had a conversation with Arash, the curator, almost two years ago which inspired the title of this Exhibit. The submission form was visited by over 900 artists from the US and other countries including Finland, Qatar, France, Canada, UK, Pakistan, Ireland, and Germany. There were 40 submissions which included 80 artists and 3 big projects with students ranging from 60 – 90 students. The Exhibit will open later in the Fall. Details to come! *** The Stand Against Hate event at Temple Isaiah on Tuesday night was a powerful gathering of 400 interfaith people. Superb music from a Gospel Choir, insights shared from rabbis, a Muslim woman and myself. Several friends from Peace got to participate. There is hope!